When it’s time to wind down try burning a lavender candle. In studies, lavender has been found to correlate with slower heart rate, lower blood pressure, and lower arterial pressure. It has also been found to decrease muscle tension. 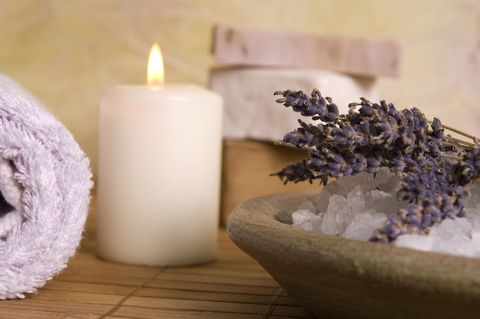 Other scents that have been found to have relaxing effects are bergamot and sandalwood. If you want to create a cheerful, clean environment in your home, choose candles scented with citrus, mint, or pine. Often these scents can be not only uplifting and motivating, but just give that “clean” feel. When you or your guests walk in, these scents will be a fresh breeze to welcome anyone. There’s romance in the air if you’re burning scents such as these. Floral and woody scents give that wistful, romantic feel to a room. Delve into the season with your favorite candles scents! Autumn’s a great time for burning pumpkin spice candles, as well as other baked good candle scents, as is winter. To create that cozy winter environment, choose cinnamon, apple, berry, and pine candles. Fresh candle scents such as cucumber melon are great for spring, as well as fresh cut grass candles which carry into summer. Nothing says summer like a nice citrus, like a lemonade candle scent drifting through the air. If you love a certain candle, soap, or body spray – whatever the scent may be – don’t do what I too often do, which is save it until that scent runs out! Light it and enjoy, it’s sure to affect you in a positive way! Jennifer Hall is the founder and editor of Savvy-Cafe.com, a journal for fun home ideas and an online guide to saving money; and onetimesone.com, an online magazine featuring independent music and film. When she’s not online, Jennifer’s spending time with her family, gardening, or playing the piano or accordion.